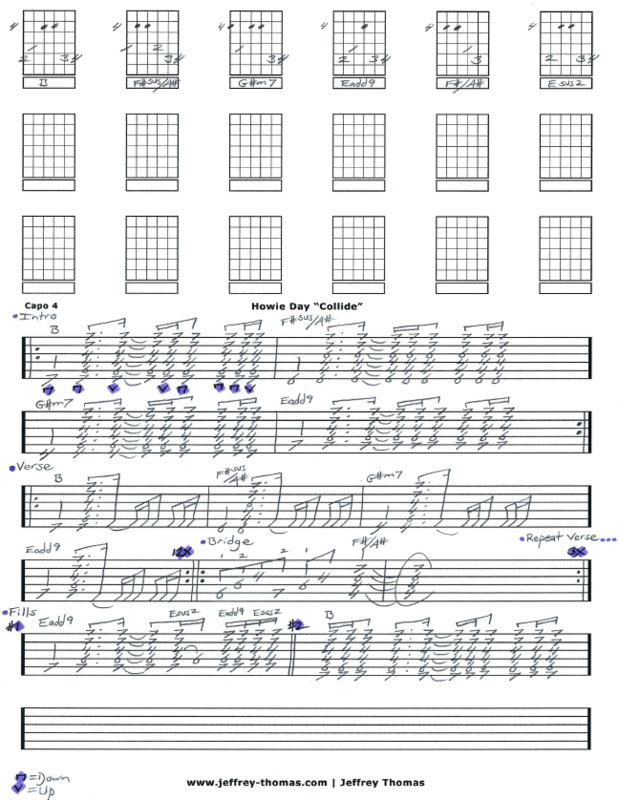 Howie Day Collide Free Guitar Tab by Jeffrey Thomas. Learn to play this acoustic pop ballad with my free guitar tab. I have the capo details, song structure, proper chords, strumming pattern and 2 additional fills options. This is the most request guitar song by Howie Day from my guitar students. Want the full guitar tab for free? Send me your email address using the form provided. Looking to improve your acoustic guitar playing? Make sure to fill out the Schedule A Free Lesson form to set up your free Skype guitar lesson today! “Collide” made it to #20 on Billboards Hot 100 chart. Make sure to check out more free online guitar lessons on my tab, blog and video pages.